The Review: Jeff VanderMeer’s is one of the most joyously inventive minds working in fiction not only today, but arguably ever. It’s been something like ten years now since I first visited Ambergris, the setting of his brilliant collection City of Saints and Madmen and the two ensuing novels (Shriek: An Afterword and Finch) and some two years now since I devoured his instant classic Southern Reach trilogy and, while waiting on his new novel Borne, I realized that I had yet to explore his very first novel: Veniss Underground. And so, here we are. In some ways, the novel (and, in referring to it as such, I mean the contained novel-length story, not the book that here includes a few Veniss ephemera – I’ll come to those later) hints at things that Jeff would explore and play with in his later work. Nicholas and Nicola reminded me of Duncan Shriek and his sister, Shadrach’s descent into the darkness of the underground had faint echoes of Area X, and the fully realized city of Veniss is just as vivid as Ambergris, even if we get the sense that we’ll never get to see much of that city. Still, the important thing is that it’s there. We can feel, while reading, that it exists; that if we turned right instead of left, leaving the narrative and wandering off on our own, we could explore to our heart’s content. There are echoes of Blade Runner here – and I can’t help wondering if later novelists of the science fictional/weird/future, like China Miéville and Kevin Barry, found as much inspiration here as they might’ve in the more easily identifiable spots like that film. To go further down the “similar works” rabbit hole, a quote on the front cover from the starred Publishers Weekly review cities The Divine Comedy, the myth of Orpheus, and the work of Hieronymus Bosch – and I thought that the Gollux was perhaps, of all things, a nod to Tolkien. But regardless of inspirations, Jeff’s mind is one-of-a-kind: he’s synthesized these and many other things (including but I’m sure not limited to his extensive travels around the world) and churned out something that feels entirely new. Veniss is a far-future locale, ostensibly here on Earth (rather hilariously, it used to be called Dayton Central (among other names), a disparity that shows off Jeff’s sly humor to great effect), and we’re able to connect with it even as we see things like genetically reprogrammed meerkat assassins or “holoart” that seem totally unreal to our present tense but entirely possible in some strange future. 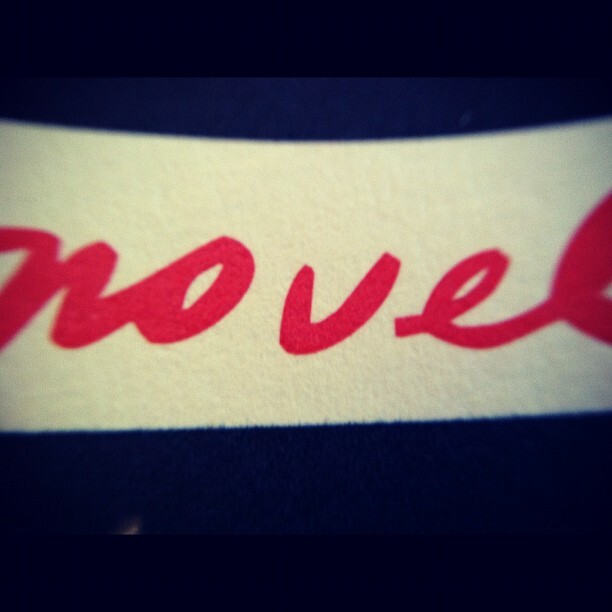 The novel itself is in three parts, each one following a different character. The first, from the slightly disturbed mind of Nicholas, is a little wobbly of an introduction – there’s a bit of a sense of being thrown into the deep end at 2 on a count of 3, even a frisson of danger. This stems, for me at least, largely from the way the narrative is constructed: Nicholas is talking to us. He is our unexpected and definitely not-to-be-trusted guide. The narrative experimentation continues in the second part, which follows Nicola – but it’s written in the second-person. Except, unlike many second-person narratives, I never felt like I was in danger of being the “you” of the story. I wondered about this at first – was it a flaw in the writing, an experiment that didn’t quite come together? – only to be bowled over when I realized, in the traditionally-written Shadrach-following third section, that these two earlier chapters were in fact a part of the larger narrative: stories within the story, in a way. Shadrach experiences Nicola’s memories and suddenly it becomes clear that the second chapter was in fact Shadrach experiencing those memories. And the ending of Nicola’s chapter is then revealed to’ve given us a new perspective on Nicholas’ chapter, where it may well have been Nicola who he was talking to. It was an impressive bit of derring-do and besides foreshadowing the fun that VanderMeer would have with narrative in later works (especially Acceptance), it shows that even in the early stages of his career, Jeff has the narrative control of an utter master. This is a novel, yes, but as mentioned earlier it also contains a few short stories and a novella at the end – all of which, when combined, tell a far larger story than is perhaps apparent at the beginning: a story of decades, if not centuries, that we only catch the barest glimpses of. But we do see, at the end of Veniss Underground, the moment that incites the dissolution of society that takes place in the background/between the seams of the ensuing short stories and novella. The novella, “Balzac’s War”, is the farthest into the future, showing us a war between humans and meerkats that the humans are losing, badly. Before that, we see glimpses of the next iteration(s) of Veniss beyond the end of the novel – a folktale that’s been retold over generations, a sickening echo of Nicholas and Nicola’s sacrifices, and a detective story of sorts that reminded me a little of a proto-proto-Finch. If you had just read the novel, you would feel curious but not necessarily dying to know what happens next – and if you’d just read the short stories/novella, you might feel that they were solid glimpses of a world you don’t need to know more about in order to enjoy them… but if you read them all in sequence, as they’re compiled in this edition, the connections appear as though revealed under blacklight. There is a magic to the cumulative effect and at the end of the book, I had the stark desire for more tales from Veniss and its universe, just as I did when I finished the Ambergris cycle and The Southern Reach. I have so many questions. I hope, someday, Jeff might come back and answer a few of them – but I can’t wait, in the meantime, for the new worlds he’s going to explore.